I have always struggled with some anxiety throughout my life, and for the ones who knows what that is like, you know it’s really hard. Now that I’m a mom with more responsibilities, sleep deprivation and easily overwhelmed, I can definitely admit that it’s harder to cope with anxiety more than ever. 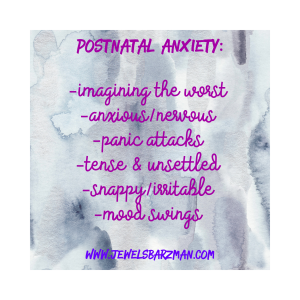 I can be open and say that I’ve probably had one or two symptoms from postnatal anxiety & depletion…which is not easy for anyone to admit but it doesn’t have to be embarrassing. So for all the women out there suffering from these symptoms, you are SO not alone!! Our bodies do and go through things sometimes that are out of our control and it’s a matter to try different things to get back to our “normal” self. I am learning more about the body and health now that I am struggling to get mine back. Taking care of myself when I can to remain healthy in my mind pays off; It helps me to be a better partner, mom and be kinder with myself. There are still gloomy and bad days that I deal with but these tricks are helping me tremendously. I would like to share those with you in hopes to help someone else who is also in my position. I was never really into meditating because I was always hooked to stimulating activities. Now that I feel like I don’t even have time to breathe sometimes, I’ve been finding such relief in meditation. I usually take 15 min to 30 min for myself in the morning to meditate right after I put Oliver to sleep for his nap. I find The Universe has your back (which you’ll find down below) or Melissa wood’s meditation extremely helpful. I also listen to Marianne Williamson’s talks on her website, she’s absolutely amazing and has changed my life. (you can also find her book down below that has uplifted my life in indescribable ways) She will be back in LA on July 23rd! don’t miss out! I’m also trying to get into podcasts, so if you have any tips or recommendations, let me know! Another thing that I never really took the time to look into are essential oils. They help me find comfort, lower my anxiety and balance my hormones, I’ve researched and found great natural alternatives to find relief in these areas by applying different oils topically or diffusing them. 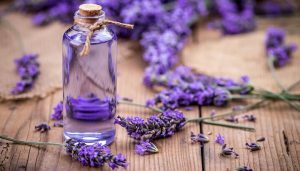 Lavender, Frankincense and rose are my favorite to calm down or diffuse at night at bedtime. I rub thyme and Fennel with coconut oil on my tummy and diffuse clary sage to balance hormones. Here is one of the best articles with incredible details and DYI. Click here. This one is definitely not the easiest with a baby on board but I find ways to make time in the morning or at night to get a few pages in. Podcasts or audible books are also effective when you’re on the go. Here are some of my current favorites or lifetime favorites that brings a lot of joy, reassurance, support and comfort. Also, here’s a great book that is guiding me step by step in understanding my body after baby and how to attempt getting back to how I felt before. Written by a very understanding man, this book will make you feel normal and more than heard. I know it was sign that It popped in front of me the other day at the bookstore. 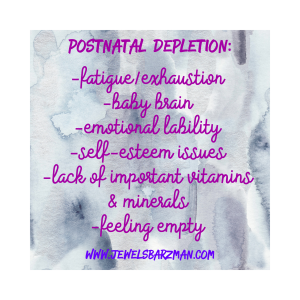 So if you had a baby and curious as to why your body is not reacting like it used to– THIS is amazing! Writing helps me a lot, it always has but lately I feel so scattered that sometimes I don’t even have the energy or discipline to write. I found this little journal absolutely adorable and helpful. It has questions, quotes, meditation guides and coloring pages to help you everyday to let go, focus and really start off your day on the right foot. It’s also quite empowering and full of deep questions that if you sit down and really be honest with yourself, it relieves a lot of stress, patterns and pain. My favorite is also drawing “activities” to get a better picture of your feelings. I’ve been trying to do this and writing it is also helping me stick to it a little more! I’m trying to compartmentalize what needs to be done throughout the day. So instead of testing my great multi-tasking skills, which I find extremely stressful, I split the day in different “activities.” When I’m with Oliver, I’m fully with Oliver. When he sleeps, I’m getting what I need to get done that makes me happy. 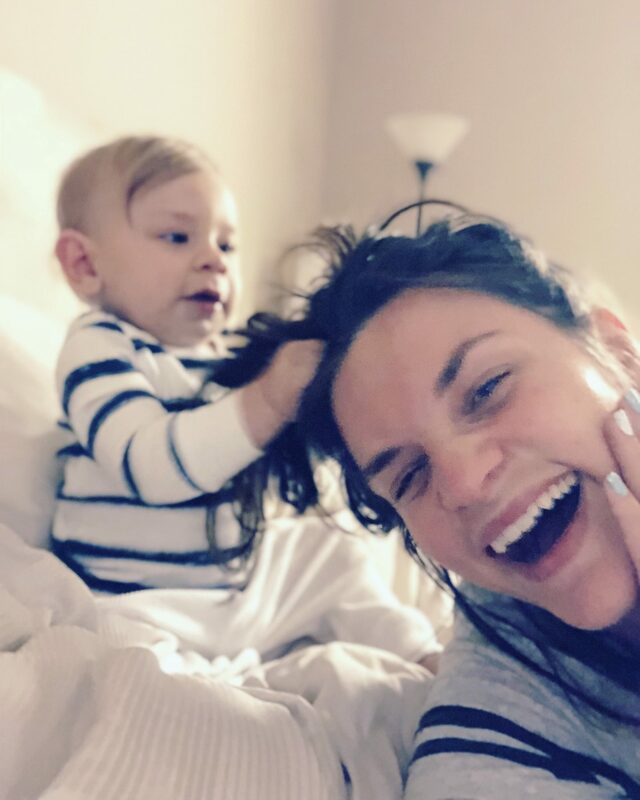 When Oliver plays and he’s satisfied being by himself, I clean or cook or get other stuff done…and so on, I try from now on to be patient and know that there will be that “time” for me to get things that needs to be done. Even if that means that It’ll have to wait till tomorrow. I literally don’t care anymore, honest! My priorities are clearer. I’m trying to do things with joy! I’m reminding myself to see the humor, the good side of things. Listen I have days where “hell with all that” and that’s when I realize that I took steps backwards. Whenever I allow myself to feel that way, it’s either because I didn’t do my daily work which is either “journaling, meditating, writing for the blog…” I need to keep up with at least one of those things to feel good & uplifted. I really see a difference when I don’t let go, get depleted and then climbing back to good habits becomes even more difficult….Getting out of a funk can be really challenging! These things really keep me on the right path. Eating well right now for me is vital. My energy and hormones are so sensitive that If I deplete my body even more with processed food, sugary foods and unhealthy fats…I can feel it right away and my mood, flow literally changes right away. I found really good supplements and nutritional products that I add to my daily diet which is mainly Vegan and gluten free these days. One of my favorite things to do morning & night is to take care of my skin. I remember my mom would always say, “you only have one skin! take care of it!” She’d literally cringe when I’d just dry my face off like a truck driver…Now I understand why all her advices of gentle skin care is so important! it makes me feel alive, healthy and glowing. Who doesn’t want that right? I massage my skin for lymphatic drainage and use natural products that uplifts me. I will be posting in detail my daily routines. Previous Post Invitation cards: From baby woodland theme to gender neutral, Bring your party to life.